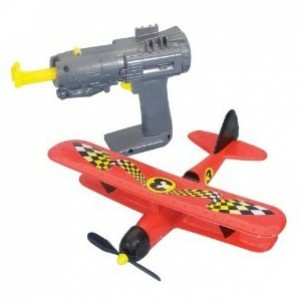 Biplane style planes. All in one charger/launcher. High performance stealth mode charging. Fully charges in 10 seconds for up to a 45 second flight. Actual size: 8"x10". Ages 8 and up. Requires 3 (AA) batteries.